But let’s get positive. What the different presentations and discussions covered was a spectrum of activities, from monitoring individual patients for specific things, such as heart rate or blood pressure changes, through to the analysis of big data sets to identify health patterns, and also, at some stage, to provide decision-support systems. And the consensus was that things are getting better and that there are some important changes coming that will make things even better. The keynote presentation for the whole event was by Henk van Houten, Chief Technology Officer of Phillips, who effectively looked at the entire health-care spectrum. Many of the points he made here and in an article he wrote earlier this year were amplified in the later sessions, so I will use his views as a framework to look at the digitisation of health care, drawing on DIF sessions and other material. The starting point is disease prevention and encouraging a healthy life style. Depending on your care provider, there are a number of possible digital options, based on wearable technology – extending the fit-bit approach. An insurance company might decide to equip its members with wearable monitors and encourage their use through incentives. For example, it might offer a reduction in payments to those who exercise regularly (tracked by the monitor). The wearable would also monitor for untoward health effects and alert first responders when a cardio-vascular event – what we civilians call a heart attack or stroke – is occurring. The first responders would arrive quickly, which by itself improves the possible outcome, and with detailed information on the problem, the patient and their health record, and with portable digital-based diagnostic equipment. Each of these, alone, would increase the likelihood of a positive outcome. Together they will make a considerable difference. Targeted monitoring for patients with known diseases is moving out of clinical trials and into broader use. Obvious targets are heart sufferers, but, in Holland, a device called HYPOSENSE is targeting diabetes sufferers. While diabetes is a disease of high blood-sugar levels, the drugs used to control it can also induce hypoglycaemia, or very low blood-sugar levels. If this occurs while the patient is asleep, they can die. In Belgium alone, with a population of 11 million, there are 450 “dead in bed” victims every year. Before the hypoglycaemia situation becomes critical, the patient undergoes a period of cold sweats. HYPOSENSE is a wrist wearable that detects the cold sweat and transmits an alarm signal to, say, a smart phone, to wake the patient in time to correct the sugar level. Once a patient is in hospital, then there are multiple possible areas for digital innovation. Many of the monitoring devices (Heart and blood pressure for example) and treatment devices (drug delivery pumps) are digitally based, but, on the whole, they are stand-alone systems. 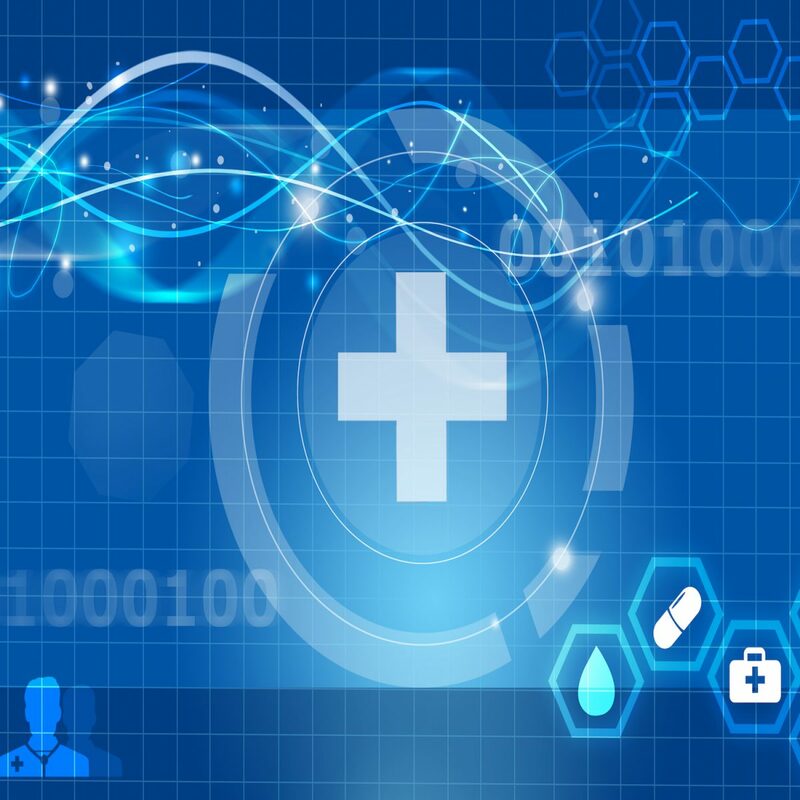 Integration, through a common platform or through standard communication channels, is underway to provide a more holistic view of the state of the patient. There are also calls for standardised user interfaces to reduce errors by operators. Van Houten also argued that there is a role for a decision-support system, allowing the clinical team to draw on the experience of many others. This seems like a sensible move, but, anecdotally, there appears to be a cultural issue, particularly with surgeons, who are reluctant to change and share information. One non-digital example of this is the use of checklists. It is well established (since at least 2008) that the use of standard surgical checklists – similar to those used by pilots – can dramatically reduce deaths and other related problems in surgery, yet they are still not standard practice in much of the advanced world. One example of digital innovation in surgery comes from FEops, a Belgian company. It is working on improving transcatheter-based structural heart interventions. These widen and strengthen heart valves, not by open-heart surgery but by sending a tube (catheter) up the aorta, where it expands a balloon to widen the valve and leaves a mesh (stent) to strengthen it. This is carried out with ultrasound imaging, is proven to extend lives in many cases, and is becoming popular (FEops cites 75K patients in 2015, with an estimated 250K in 2020). However, it is not perfect, and FEops has developed software to personalise the procedure. This uses ultrasound imaging to build a computer model of the heart, and then it designs, models and simulates the behaviour of a patient-specific stent. This is already in use and producing significant improvements. Another interesting product is SensiStep from Amsterdam-based Evalan, which addresses the issue of rehabilitation after hip fractures. Hip fractures are very common, over 600,000 a year in Europe alone, and are more frequent in the elderly. During rehabilitation, the patient has to gradually increase the weight placed on the leg as they begin to walk again: too much weight and the hip is further damaged, too little and recovery takes longer. SensiStep uses sandals with a weight sensor built in. They communicate to a wrist display on the patient and to an iPad for the therapist. The therapist sets the desired weight for that stage of rehabilitation and the patient gets immediate feedback – and the therapist has more information for planning later stages. This is already reducing rehabilitation time in clinical trials, and the company is planning a wider roll-out. The techniques of big data are providing the possibility of getting greater understanding of many aspects of health care. Medical insurance companies, in particular, already have huge amounts of patient data, for which they are now gaining the tools to carry out fine-grain analysis. In Britain, Deep Mind, an artificial intelligence company and a part of Google’s Alphabet group, has been given access to the healthcare data of up to 1.6 million patients, which it uses to provide warnings of possible kidney failure. But this is where things start getting a little more interesting. The patients in the Deep Mind case are not aware that their entire clinical history has been handed to a private company. It is not clear what the financial arrangements are, and the deal has also attracted criticism over the lack of public clarity on the limitations met when sharing the data within the Google group. A significant issue, and one that keeps recurring, is the very different approaches to healthcare and its funding in different countries. And this leads to a debate about who actually pays for, say, the cost of integrating the different systems in a hospital? Or for compiling and analysing the data sets that can provide valuable information on underlying trends? The options range from an almost totally private insurance system to a largely state-funded system, with many in-between variants. Societal and cultural pressures can also impact how diagnosis and treatment are carried out. For example, there seems to be a feeling that, in the US, the litigious nature of society leads to medical practitioners carrying out a broader range of tests and investigations than might be the case elsewhere. This is seen as a way of improving their case should they end up in court, rather than being undertaken for clinical reasons. If the opportunities are handled appropriately, digital tools – from sensors to massive databases – will enable clinical teams to work more effectively in looking after the patients, with better results, less hospitalisation, and better outcomes. Which, as I am a part of one of the problems, I am looking forward to.